A judge has ruled that California's plans for a $64 billion, high-speed rail system do not violate promises made to voters when they approved state financing for the project. 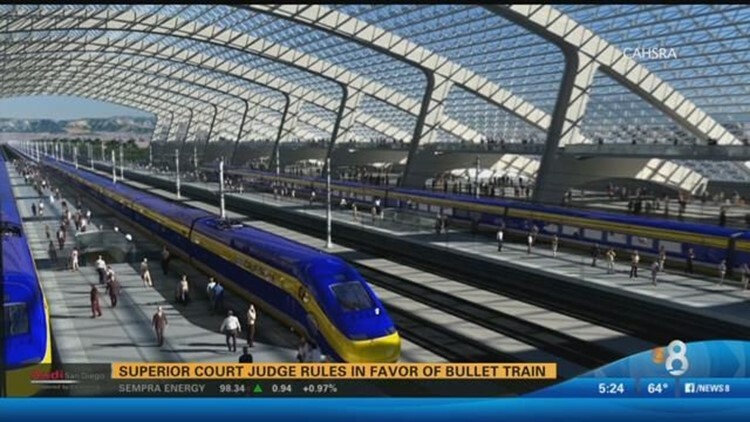 SACRAMENTO, Calif. (AP) - A judge has ruled that California's plans for a $64 billion, high-speed rail system do not violate promises made to voters when they approved state financing for the project. The ruling by Sacramento County Superior Court Judge Michael Kenny was released on Tuesday. It allows planning and financing of the project to proceed. Attorneys who represent Kings County and a group of landowners had argued that the state's projections on ridership, construction and operating figures are not reliable. They asked the judge to block the state from spending money on the project. The judge said the rail authority has not proven that the high-speed rail system will be financially viable or that it can meet the travel times voters were promised, but the system continues to evolve so it is premature for the court to intervene.